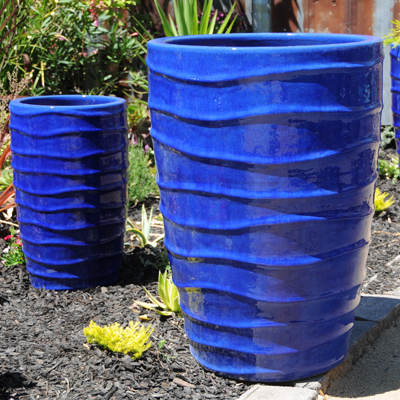 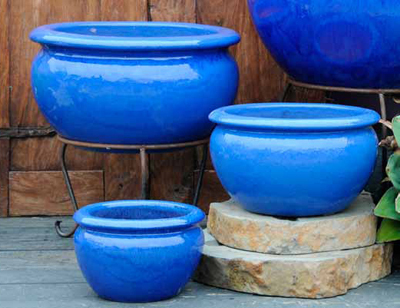 Every spring, w bring in thousands of frost proof hand potted garden planter that do not need to be moving into storage and no turning over for the winter. 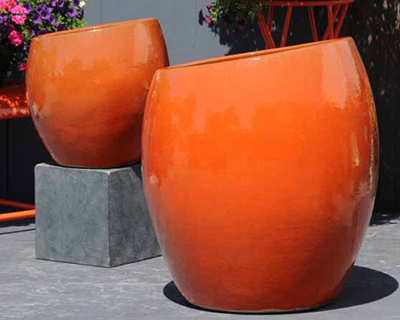 With all sizes, shapes & colors, you will find us to have the best selection and price in town. 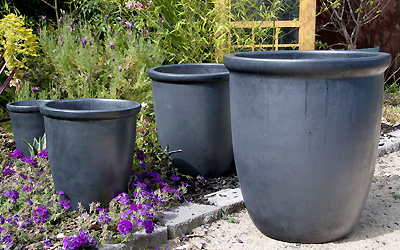 We now offer top quality organic potting soil perfect for flowers, fruits and vegetables. 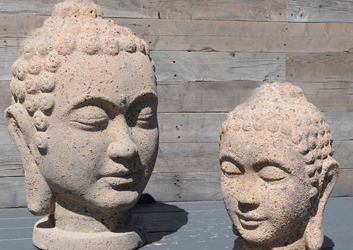 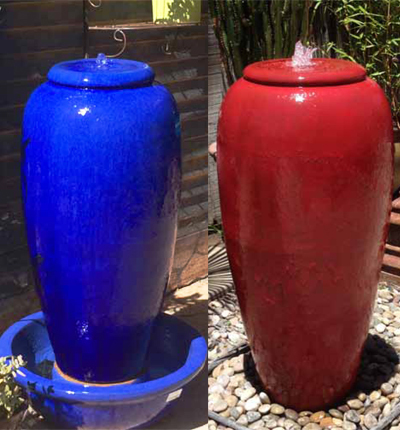 Come see our great selections of fountains, granite statues, stone lanterns, rain chains, rugs and many other decorations to beautify your outdoor space. 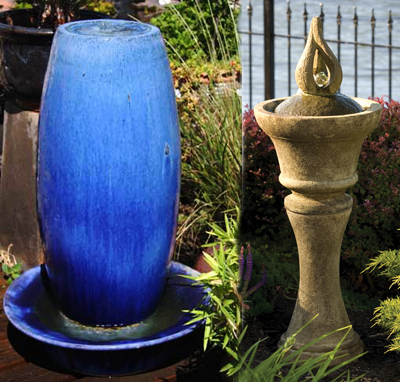 Out of State Shipment: Outdoor planters & fountains can only be shipped by pallet. 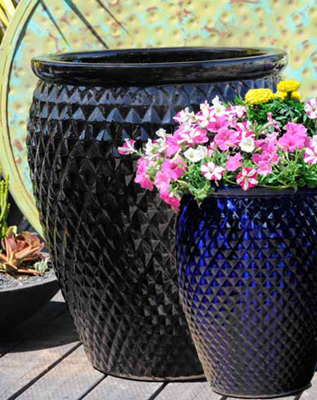 Average shipping cost to an residential address is $350 ~ $500 depending on your location. 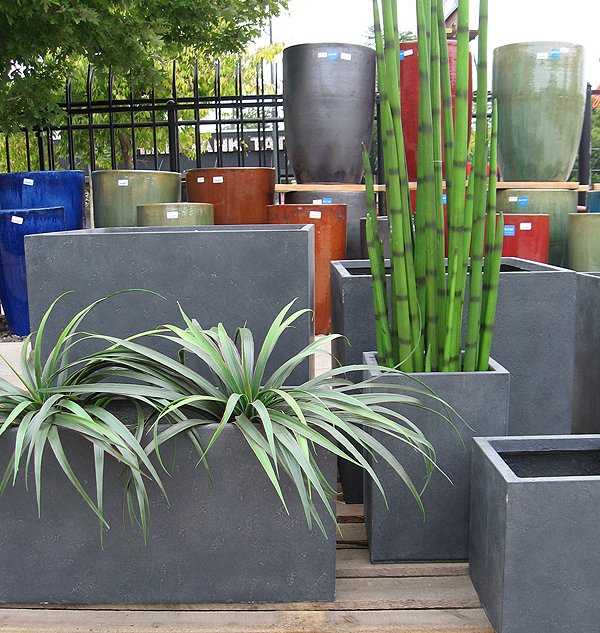 One 4'x4' pallet would fit combinations of 4-8 large or 8-32 small to medium planters. 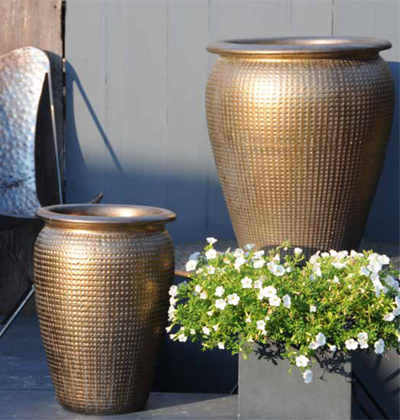 Dimple Jar planters in Silver Bronze give an elegant traditional finish. 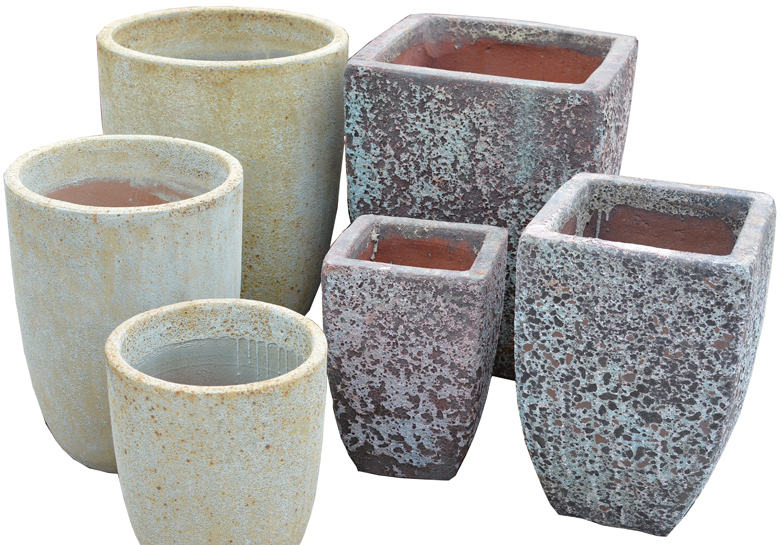 May also be available in Green Stream and White Stone. 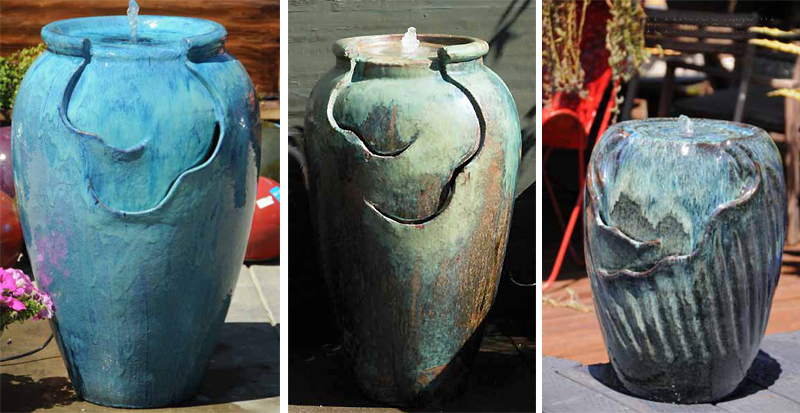 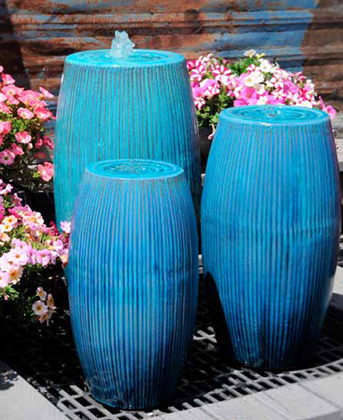 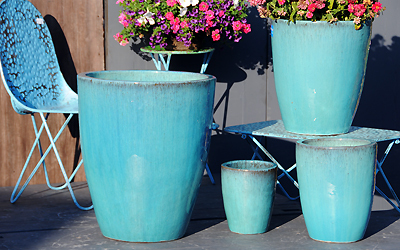 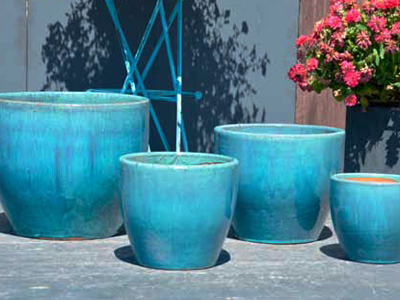 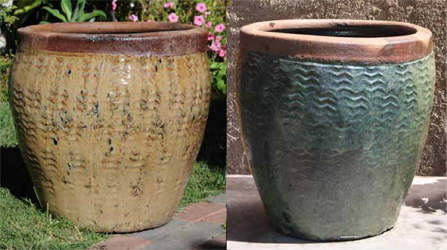 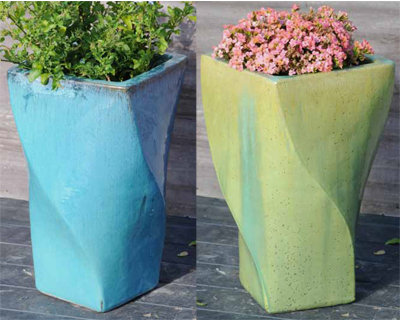 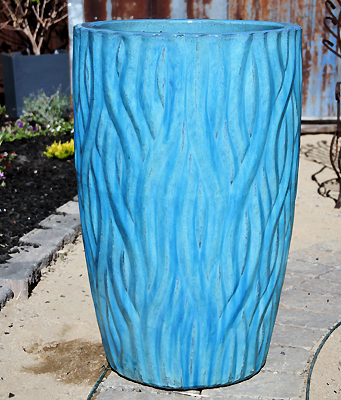 May also be available in Red, Falling Aqua, Antique Green and Green Stream XLg Cone Planter in Falling Aqua. 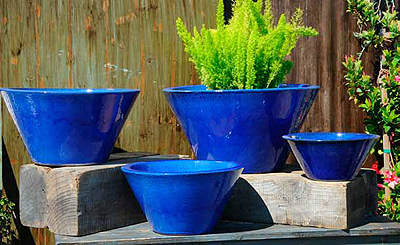 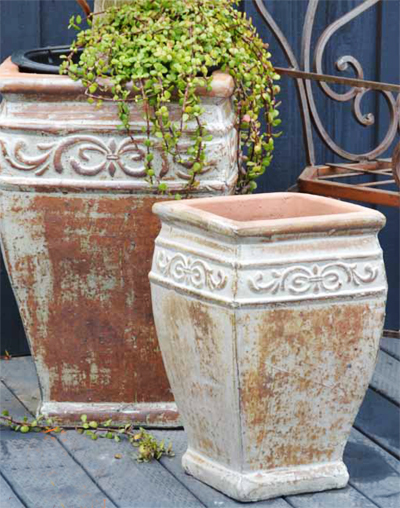 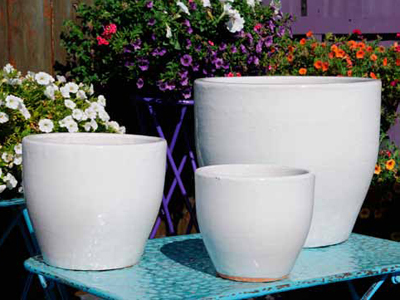 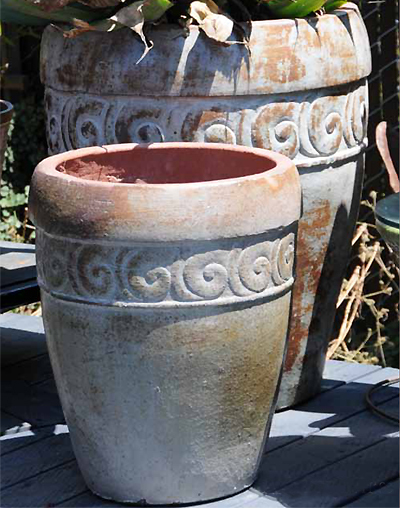 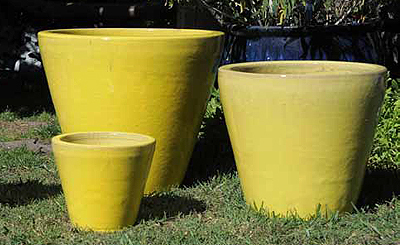 Each one is its own character, use these old world planter to achive the antique rustic feel for your space. 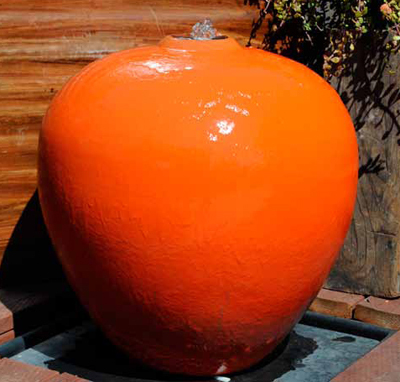 Cube: 20", 16", 12", 10"
These sphere balls can be on the ground or on top of pots to creat a colorful hardscape. 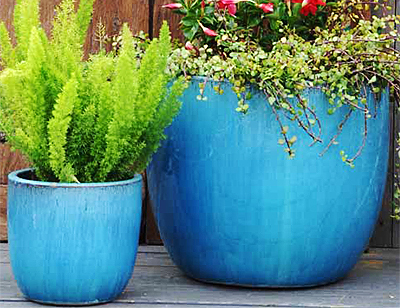 They add a splash of color outdoors in the fall and winter months. 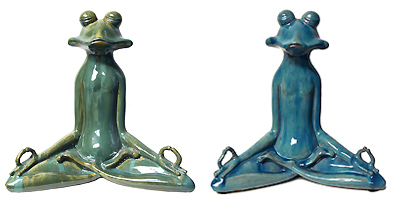 Outdoor Ceramic Meditation Frog 18.5"Wx10.5"Dx18.5"H You can plant flowers straight into the outdoor safe lighted planters. 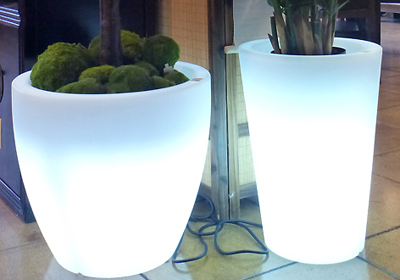 Change the energy efficient bulb color for an entirely different look. 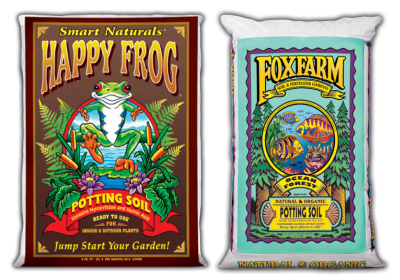 FoxFarm organic soil - One of the best to grow flowers, fruits, and veggies in containers.